PHILADELPHIA, PA (February 12, 2018) Jackson Lewis P.C., one of the country’s preeminent workplace law firms, is pleased to announce Gary M. Tocci has joined the firm’s Philadelphia office as a Principal. Mr. Tocci, who has more than 30 years of experience in all areas of labor and employment law matters, joins Jackson Lewis from Reed Smith LLP. Mr. Tocci focuses his practice on all areas of labor and employment litigation, with a particular emphasis on traditional labor management matters. 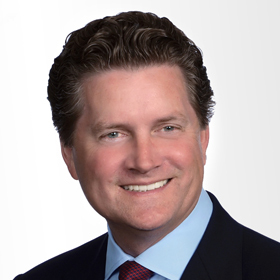 His extensive experience includes representing large national corporations in labor arbitrations and litigation before the National Labor Relations Board. In addition to his experience with union organizing, collective bargaining and dispute resolution, Mr. Tocci counsels clients on various employment issues, both in the union and non-union setting. "I have long been familiar with Jackson Lewis’ workplace law prowess, as well as for the firm’s commitment to providing clients with efficient, forward-thinking solutions to the issues they face on a day to day basis,” said Mr. Tocci. “I look forward to joining the firm and continuing my work with employers on complex labor relations issues in Philadelphia and across the country." Mr. Tocci also handles employment-related litigation before state and federal administrative agencies and in state and federal courts, mainly the defense of discrimination claims based on race, gender, sexual harassment, age, disability and retaliation. Mr. Tocci received his J.D. from Temple University Beasley School of Law and was Editor-in-Chief of the Temple Law Review. He holds his B.A. from Temple University. Jackson Lewis’ Philadelphia office can be reached at (267) 319-7802.